The standard procedure for mediocarpal partial arthrodesis ("four corner fusion"), which uses Kirschner wires, involves hand immobilization for several weeks by means of a cast. This involves substantial restrictions for patients. Not so when using the Flower Plate offered by KLS Martin. 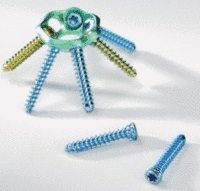 This plate provides optimal fixation and significantly faster healing. 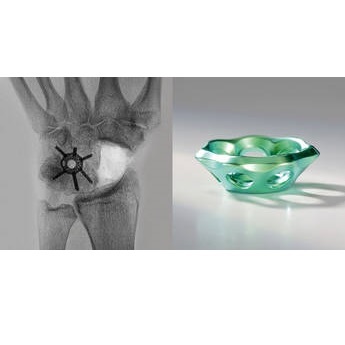 With the Flower Plate, KLS Martin developed an implant that, due to its delicate design, almost totally prevents impingement on the dorsal edge of the radius. Thanks to its anatomical form and the possibility of inserting up to seven multidirectional locking screws, the Flower Plate provides excellently stable fixation. With the Flower Plate, hand function is completely restored within a short time.